Why Co-Packing Services are Necessary for Food Businesses? Companies that are looking to grow their brand must immediately consider a co-packer. While this approach holds true for every other business, food-specific industries are best served with a co-packer added into the scheme of things. While certain companies prefer outsourcing the manufacturing part, it is important that a contract manufacturer is deployed, in order to speed up assimilation, packing and fulfillment. However, every service provider isn’t functional enough and it takes quite a lot of intuition when it comes to zeroing in on the perfect co-packer for the concerned business. In a nutshell, any food business can easily scale up with a co-packer at the helm as some of the more intricate aspects of packaging are then handled with precision and accuracy. In the subsequent sections we shall look at the flowchart that helps companies deploy efficient co-packers. Moreover, it is true that every food-specific business needs to work with one, in order to improve scalability and efficiency. When do Companies Usually Deploy Co-Workers? According to proven surveys, almost one-third of global manufacturers offer outsourced services where they render co-packing benefits to certain esteemed firms. Almost 45 percent of the manufacturers that lack a dedicated unit help other food-specific companies co-pack certain products; thereby assisting producers improve the line extensions. Moreover, a food producer typically hires a co-packer when it moves towards additional certifications, large-scale productions and newer products. Therefore, it can be established that every food producer needs to look up to a co-packer during its business lifecycle. The first aspect of hiring a co-packer is to ascertain the industrial requirements, beforehand. Companies that have outgrown their in-house production often need to outsource the packaging and fulfillment services. Majority of food startups start off by producing items in smaller batches. However, upon growing constantly, it becomes hard for them to manage services and the fulfillment requirements, simultaneously. Outsourcing the production, manufacturing and even packaging should therefore be the norm for the constantly growing SMEs. It must be understood that investing in expansive production techniques and facilities require additional costs and certifications. Moreover, with the ever-expanding clientele expecting improved services, it becomes important to deploy a co-packer that can save a lot of time and effort. This, in turn, allows the business to concentrate more on the kitchen and the concerned production facility while the co-packers take care of the distant metrics. One aspect of hiring a co-packer is to gain a better understanding of the recipe, concerned processes and industrial equipment. Being proactive is what separates great businesses from the average ones. However, staying proactive requires the authorities to remain present for the first few lots while making a detailed list of the necessary ingredients. While the co-packing requirements are necessary to cover, food businesses must also check the complexity and availability of the required products before letting the co-packer pick stuffs. Apart from that, businesses must also keep a close eye on the packaging, in order to fulfill the consumer requirements and usability factor. Businesses with high production volume should look to deploy the services of a co-parker as the latter thrives when there is a lot to work with. Well-established co-packers need to be convinced about the potential of a food business before they start working with the same. However, validation works both ways as even the concerned SMEs must check the equipment set pertaining to the contract manufacturer and see if it is compatible with the production requirements. In addition to that, the timeline and projection of the business must be matched with the production requirements, well in advance. 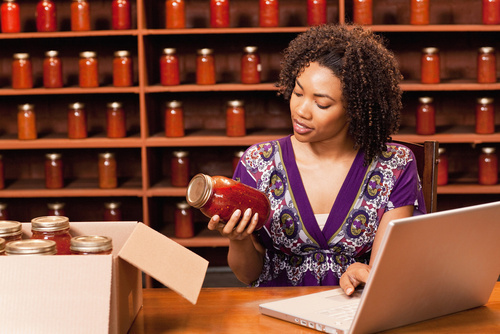 Food businesses should trust their gut while hiring co-packers for the job. With the outsourced contract manufacturers specializing in select areas, it becomes hard for the SMEs to select the suitable vendor for shouldering responsibilities. While a proactive and intuitive approach can help, at the end it all boils down to the gut feeling. Working with co-packers and contract manufacturers can get tricky at times but food companies with a clear vision can easily integrate services as they understand the entire production process and even follow instincts when it comes to preparing food items, selecting ingredients and handling the packaging requirements. Companies dependent on retail chains and ecommerce solutions usually deploy TMS or Transportation Management Systems for simplifying certain fulfillment based tasks. A functional TMS plan is highly beneficial to businesses as it allows them to transport products in a very cost-effective manner. In addition to that, Transportation Management System also involves intermodal freight movements, comprising of inbound, outbound, domestic, international and commercial shipments. The best thing about TMS is that it can seamlessly function with the concerned company or even with an outsourced fulfillment or logistics partner. Why Companies are Emphasizing on TMS Solutions? TMS or Transportation Management System is the only supply chain tool that reduces additional freight costs. Having this strategy on-board helps organizations immensely as they can pair up logistics with functional analytics and optimization techniques. TMS solutions work way better than some of the more conventional supply chain management techniques and in the subsequent sections, we shall enlist some benefits which set them apart from the usual ones. While some might argue that a transportation management system has nothing to do with warehouse management, there is a direct correlation between the two. With a functional TMS solution on-board, companies can quickly dispatch the shipments; thereby saving a lot of time for performing warehouse duties. Moreover, with the TMS module integrated alongside the ERP, data entry issues and associated errors can be readily avoided. In a nutshell, TMS and WMS work together for improving the efficiency of the concerned supply chain framework. The inadequacies are duly minimized followed by higher levels of cost savings. 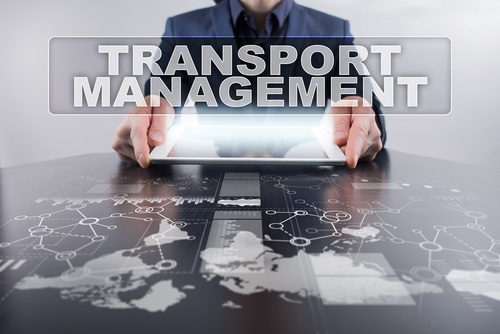 Transportation Management System helps optimize the shipping techniques of the companies; thereby offering a host of exciting fulfillment options to the customers. Be it the inbound shipping programs or the pool-point shipping ideas, having a robust TMS module can open a door of opportunities for the customers. In addition to that, this approach to shipping and fulfillment also covers multiple locations and serves as a precursor to the Omni-channel customer experience. Lastly, one person with remote access can easily manage the entire delivery schema for multiple networks. Organizations dealing with surplus inventory issues are best served by a TMS module on-board. As companies can now ship products at a faster rate, it becomes easier for them to plan out the stocks in a better manner. This eventually minimizes the issues related to surplus stocks and can help businesses improve productivity. Needless to say, a functional transport management system can also help an organization improve the overall cash flow. With freight accounting made easy, improved cash flow is something businesses can expect going into the future. Moreover, a TMS module offers a leeway to the shippers as they can now save a lot of money by tweaking the structure of inbound logistics. For those who are interested in facts and figures, companies can easily save something in the ballpark of 2 to 5 percent by cutting out duplicate payments, inaccurate charges and other logistical pitfalls. While we have addressed this aspect in some of the previous sections, it’s only appropriate to discuss more about the analytical side of transport management system. The associated analytics identify low-cost shipping options for businesses; thereby helping companies save a lot of money. Moreover, with shippers having fewer issues to worry about, the entire management team can concentrate more on warehouse and inventory control. Over the past few years, it has become easier to implementing TMS solutions to the entire process of warehousing, fulfillment and inventory control. The best part about using this business strategy is the backhaul support and consolidation opportunities where companies can save a lot of additional costs without having to compromise on customer satisfaction levels. What makes most sense is to link a robust TMS module with a highly efficient warehouse management system. While this promotes better visibility of the entire supply chain, it can actually improve the process of inventory forecasting and minimize the data-specific errors.